AMAZING QUILTERS AT ST. JOHN LUTHERAN AT WACO, NEBRASKA! 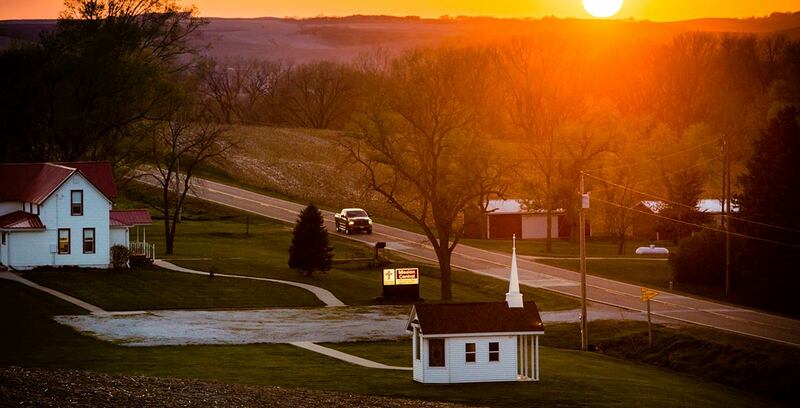 On November 11th, 2018, Old Missionary Gary visited all the missionaries at St. John Lutheran Church at rural Waco, Nebraska! What a JOY and blessing to see the members of the congregation and be able to share what the Lord is doing in HIS Mission Field. 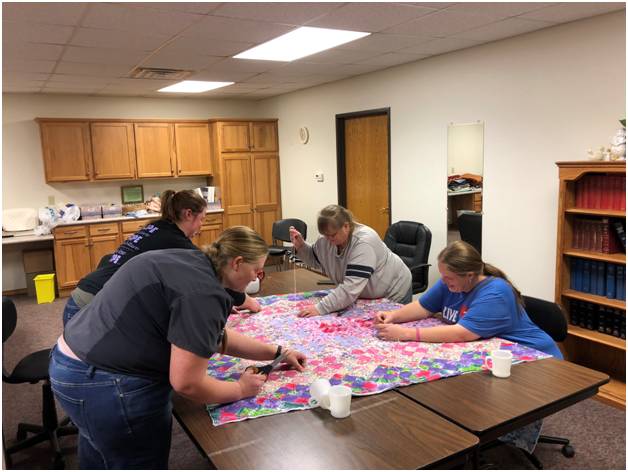 This past year the Ladies of St. John wanted to make some quilts and did such a great, great job, and here you see some of the members working on their special quilts. These quilts were given to Mission Central, and one very, very, very special quilt was given for a special gift to support our new Missionary going to Russia, Sarah Harms! This special quilt was sold at the amazing event called THE BIG EVENT, an annual fund raiser for the dear saints at Christ Lutheran in Norfolk, Nebraska by a group called the Servants of our Savior, and the proceeds of this event goes to many wonderful projects for the congregation, Orphan Grain Train and Mission Central. Three very special people that God called to help with the support of Sarah Harms provided a large gift to purchase that quilt. It will allow dear Sarah to get her bags packed for Russia!!! !